After being stuck in a rut, my trip to Ocean Park gave me a breakthrough. 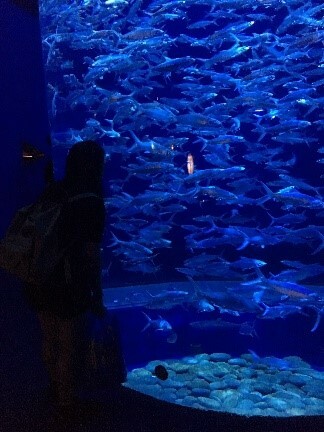 In one of the aquariums, I was fascinated by the large fish tanks full of fish. It is as if I could see the water’s current with the school of fish swimming in one direction. I felt very at peace that is somewhat very familiar. It is at that moment that I realised that my room gives off the same calming feeling. After finding so many similarities, I felt confident that water is a good direction to develop more. By connecting comfort and water, the comfort idea was formed.